Welcome to our latest update, and what a lot there is to cover. We've already begun establishing working relationships with two new federal ministers, Dan Tehan in education, and Michaelia Cash, taking over the small business, skills and vocational education portfolio. APC wrote welcoming them to two of the most important, interesting and challenging roles in government. We promised to continue providing 'a reliable, trusted and honest source of advice and feedback' from a parent perspective. We are watching developments closely, especially on funding. The impact of the proposed changes on individual schools is still unclear. There are likely to be winners and losers under the proposed new system, which will use tax data to assess parents' capacity to contribute, and the uncertainty is making a lot of parents anxious. With a new minister at the helm, there is a real possibility that there will be further changes, which adds to the uncertainty. How do we do Parent engagement differently? With a federal election looming, and in the wake of recent political upheaval, we are planning a national survey of parents on education issues. We believe it is vitally important that the voice of parents is heard in the corridors of power, and the survey will be a unique opportunity for parents to have their say on the education issues they care about. The survey is a joint venture between APC and its state and territory affiliate organisations to ensure we get a full picture of parent concerns across Australia. The findings will help us advocate for parents across the political and education landscape. In addition, we are planning to provide information on the education policies of the main political parties, and background by electorate, as a resource for parents. NAPLAN 2018 results have now been released and individual reports are due to be sent to parents soon. The biggest question this year has been whether the results of pen and paper and online tests are comparable (20% of students took NAPLAN Online this year). ACARA, the testing authority, says they are comparable and is assuring parents they can be confident the results they receive accurately reflect their child's performance on the day, regardless of which mode of assessment they used. Read ACARA's media statement. ACARA has also issued a statement rejecting the conclusion of Perelman review that results cannot be compared. However online writing results were on average better, especially for students in Year 9. The bump is attributed to students being more familiar with working on computers and being able to edit more easily. It'll be interesting to see the overall effect on writing results, which have been in decline in recent years, as more students take NAPLAN Online next year, and all students due to take NAPLAN Online is 2020. Information for parents and carers, including sample online tests, is available on the ACARA website. The first students have now started the new nationally recognised 10500NAT Certificate IV in Parent, Family and Community Engagement. The qualification has been developed by training specialist Lee Hecht Harrison (RTO 21530), and is accredited by the Australian Skills Quality Authority. It fills a clear gap. Parents, family and community engagement is well recognised as helping children achieve their potential in education and until now there has been no specific training in this challenging area. 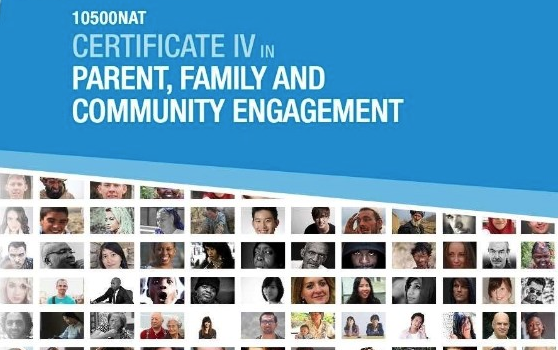 The Certificate IV is suitable for people who are working or volunteering in school, early childhood, community and other settings to support children’s education and well being. Enrolments are open and ongoing, delivery is flexible and available online. APC's roll out of Indigenous Parent Factor training is continuing apace with the latest workshops being delivered in Wiluna and Meekatharra in Western Australia. IPF workshops and facilitator training develop skills to lay strong literacy foundations and helps foster trust and communication between home and schools for Indigenous Australians. IPF-trained presenters from Centacare Family Services made a 1600km round trip to deliver three workshops in Wiluna and Meekatharra, which motivate and empower parents and carers in the community to become more engaged in children’s learning, and involved in early learning settings. IPF is an important part of our series of programs designed to support parents. APC also offers a Successful Learning in the Early Years parent-to-parent workshop and facilitator training series. These workshops help schools encourage and support families from induction onwards to engage in their children’s early learning and set the tone for parent engagement. This was the question from international parent engagement specialist Professor Debbie Pushor, guest speaker at the recent Victorian Parent Council, School and Community Engagement in Student Learning Seminar in Melbourne at Brighton Grammar School. It proved to be a great conversation starter. For more on Professor Pushor's ideas read How parents could revolutionize education and boost results. The Lost Summer is a role-playing video game, designed to be a highly engaging experience for 11-14 year olds while building digital intelligence skills and encouraging online safety, recently launched by the Office of the e-Safety Commissioner. It's a useful resource for parents and carers, as well as teachers, and is a good way to open up a discussion about online behaviour and risks. You can download the game from the Office of the e-Safety Commissioner website, which also has an entire section of up to date advice and resources for parents called iParent. 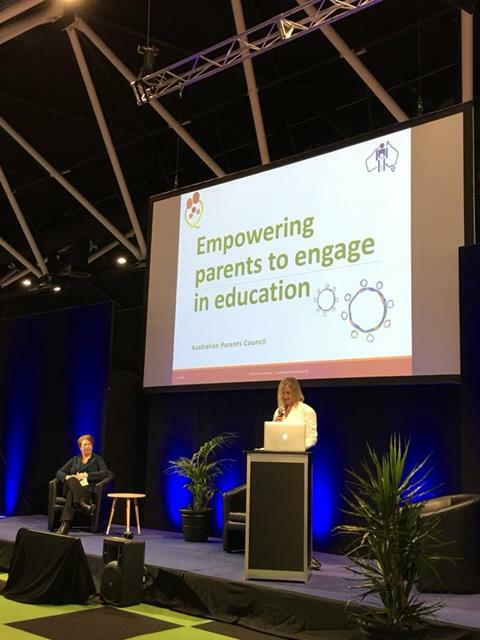 In June, APC ran three interesting, interactive sessions for parents and educators at the EDUTECH conference in Sydney on our programs, digital age parenting, and NAPLAN Online from a parent perspective. We'd like to thank everyone who took part, and our excellent and informative speakers, especially Kellie Britnell, Manager of Outreach and Education at the Office of the eSafety Commissioner, Claire Orange, of BEST Programs 4 Kids, and Dr Stanley Neil Rabinowitz, General Manager Assessment and Reporting, ACARA, for making our event such a success. 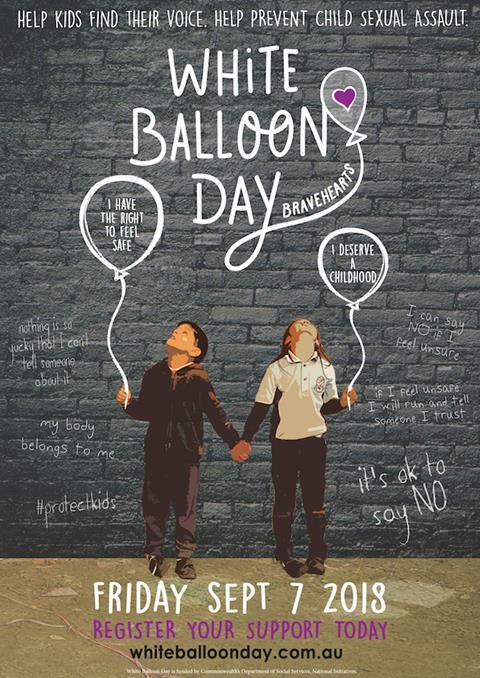 White Balloon Day is Friday 7 September & National Child Protection Week 2018. Become an APC friend to receive our newsletters and other information, and help us represent the parent perspective in the education debate.